Workers' Compensation laws cover most accidents, injuries, or occupational diseases that occur on the job. 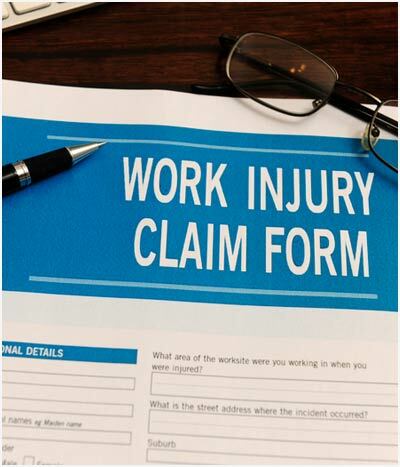 When individuals are injured while working, there are a number of rights they are entitled to. This may include, depending upon the State you are injured in, medical care and treatment, compensation for missed work, compensation for permanent injuries, future medical care, and job retraining or job placement through a vocational expert. Workers' compensation insurance carriers have adjusters, in-house nurses, doctors and attorneys that review claims such as yours on a daily basis, so it is important to ensure that you are being treated properly and are receiving the care and benefits to which you are entitled. At The Law Office of Dennis J. Mahr, L.L.C., we will protect your rights and help you get through the tough time of dealing with a work-related injury. Our office has the knowledge and experience in workers' compensation law to ensure you receive the benefits you deserve. Call or email us today. If you have been injured on the job, your employer and its insurance carrier, if it is not self-insured, are responsible for paying the costs of necessary medical care and for likely future medical care. Your employer and its worker's compensation carrier are also responsible for paying mileage reimbursements for your medical visits. Virtually every client we represent ends up having surgery due to their work injury. Our office provides injured workers with detailed information regarding temporary total disability benefits, any temporary partial disability due or other time lost due to a work related injury. We can supply complete information on whether or not your injury qualifies you for permanent partial disability or permanent total disability. We can also help explain disability ratings and how they will affect your benefits. Oftentimes an injury will prevent you from returning to your previous type of employment. The majority of our clients end up with a new job, if not a whole new occupation, due to the seriousness of their injuries. You may be entitled to job placement or job retraining to help restore you back to suitable, gainful employment if you are, for example, injured in Nebraska. Our office will help ensure your receipt of vocational benefits (if it is available to you in the State in which you were injured or where your employer is located.). Some benefits depend on the type of injury you suffer. There are certain circumstances where your injury is considered a "whole body claim". We can explain what this means and how it might affect your future ability to earn wages in the labor market. Some workers cannot return to any work regularly available in this area and they may then have the potential to receive permanent total disability under the odd-lot doctrine. Our office can help advise you on whether or not a lawsuit is necessary and explain the proper time to file one. If you think you have suffered an injury at work, notify your employer immediately, even if the injury is questionable or minor. Ideally you would send a certified letter, return receipt to your Employer, within 72 hours of your injury. Notice laws vary greatly in our local states. You may have the right to seek medical treatment from your own family doctor under some circumstances, if you are hurt in Nebraska, but not if you are hurt in Iowa. If you have a family doctor or chiropractor, inform your employer after a Nebraska accident that that is who you want to start treatment with. A Nebraska Employer can select a physician for you only if you did not have a preexisting family doctor or chiropractor or if you fail to exercise your rights to pick your own physician after you are hurt. Our office provides workers' compensation services to clients in both Nebraska and Iowa.